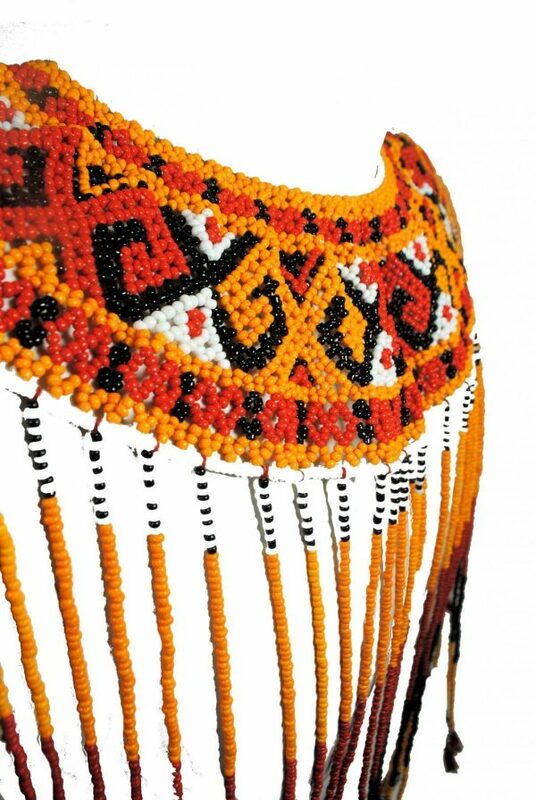 Beautiful, intricate, genuine hand crafted Tana Torajan tribal necklace from Sulawesi. Each necklace is carefully handmade. We are only able to source a small number of pieces of these necklaces. Tana Toraja is a highland region in the Indonesian province of South Sulawesi, a picturesque mountainous region that is home to an indigenous group known as the Torajans. Torajans are renowned for their elaborate funeral rites, burial sites carved into rocky cliffs, massive peaked-roof traditional houses known as tongkonan, beaded clothing, coffee and colourful wood carvings. Toraja funeral rites are important social events, usually attended by hundreds of people and lasting for several days. 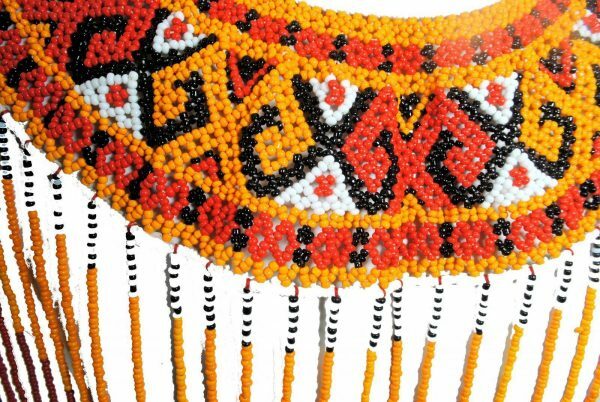 These beautiful necklaces are worn for traditional worship ceremonies ? ceremonies of joy & celebration. Wedding ceremonies, celebration of a new harvest and the inauguration of a new custom house and the presenting of all family clusters, all ceremonies involve a variety of traditional dancing and singing, art performances, sacrificial sacrifice?s and many blessings. 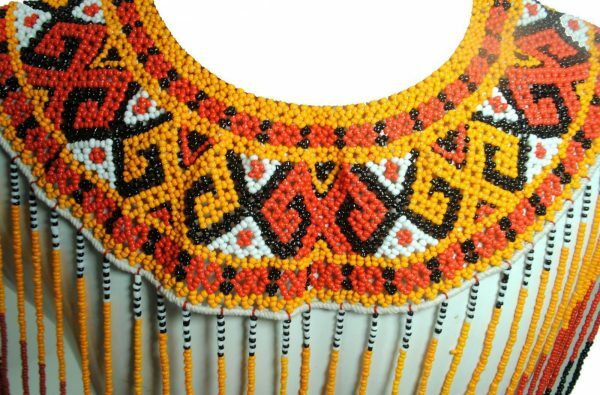 The pattern/ color of the beading may vary from one necklace to the next, as each necklace is uniquely handcrafted. 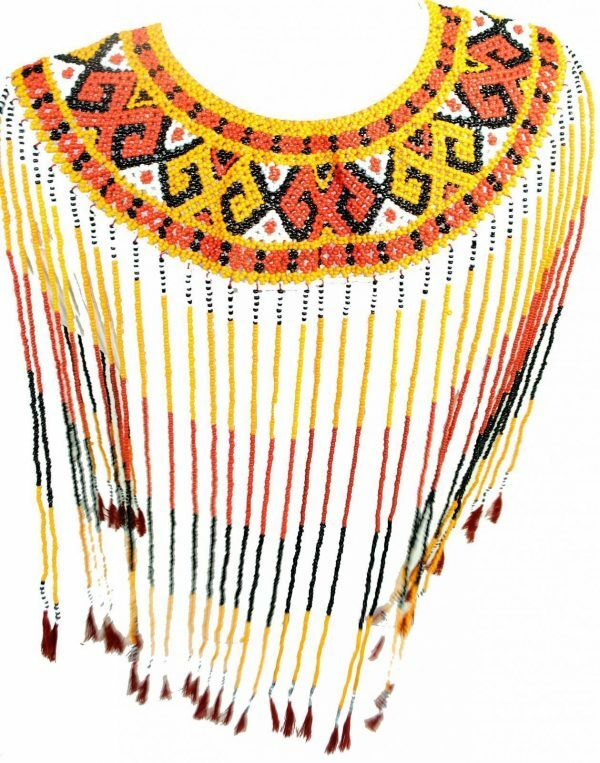 The necklace is not a tourist tat, it is a genuine ceremonial piece used in the traditional celebrations. 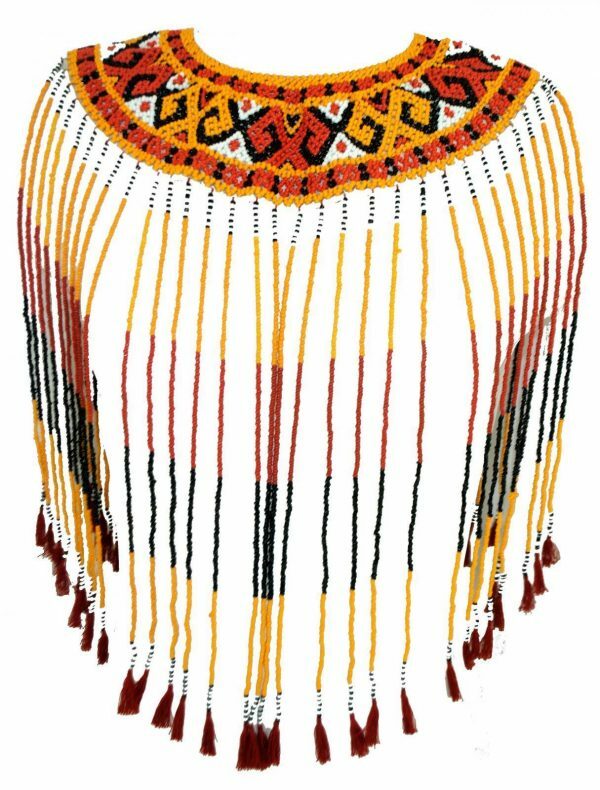 Terrapin Trading hope to connect, learn, share and support the craftspeople involved in the process of creating these ceremonial necklaces, supporting their ancient skills, cultures and traditions.